All models feature DC brushless rare earth motors for maximum reliability and power. Standard voltages are shown. The Gold Cup Series will accept DC input voltage options from 140 to 400 Vdc (optional voltages available). The Series feature power & control electronics housed within the thruster motor case for maximum reliability & simplified installation. The Gold Cup Series utilize hull sensor feedback motor controller. The Motor Control Modules are normally mounted in a customer or EMS one (1) atmosphere housing. Housings rated up to full ocean depth are available. 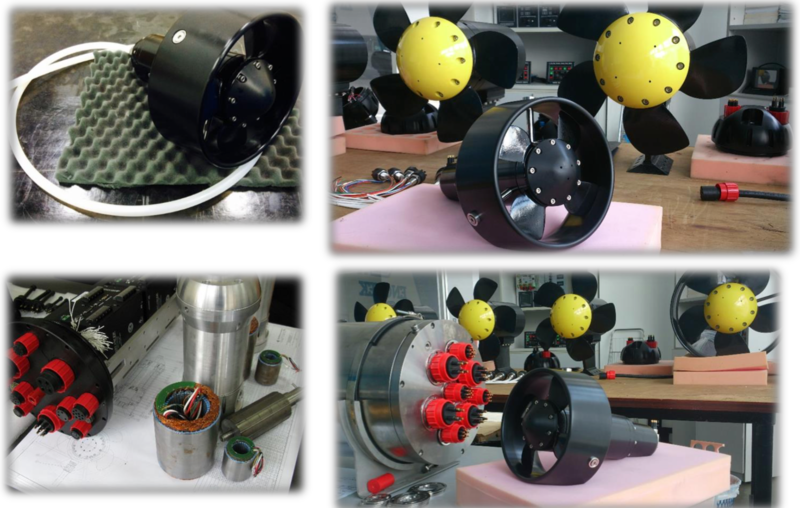 All Models feature a Propeller, designed for bi-directional rotation with Kort type nozzles for high bollard thrust & open water efficiency. Clockwise & counterclockwise rotation propellers are available for all models. Direct e-motor drives with no planetary gear reduction units resulting in “Silent” and “Reliable” operation with lightweight & compact designs at competitive pricing. 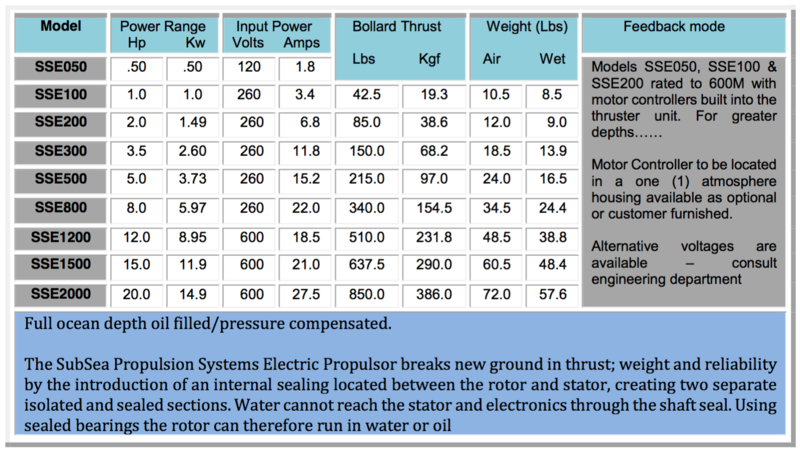 Custom configurations include alternate voltages, subsea connectors, power ratings, mountings & depth ratings as well as open (un-ducted) propellers, etc. Incorporated by the thruster Drive is the Custom Designed Motor Controller (DC) incorporating an advanced control system with four-quadrant torque and speed control. Serial & CANopen communication is available with programmable I/O in/outputs, for Speed and Torque Control Modes. 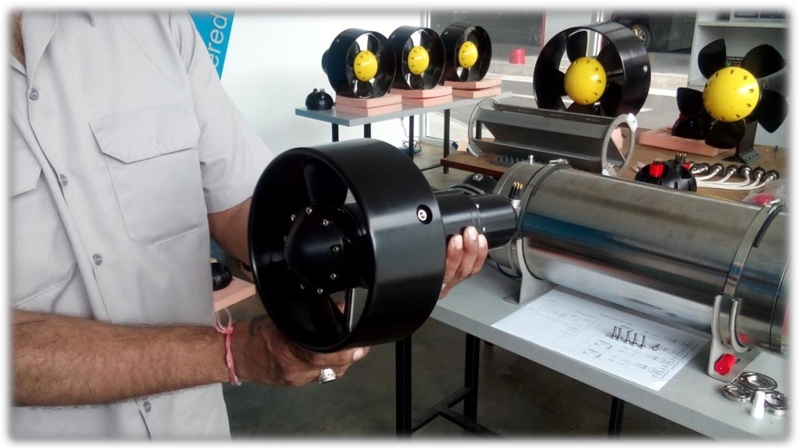 Thrust or torque can be controlled and synchronized with other brushless type thrusters resulting in simple coordinated interaction between the thruster units.